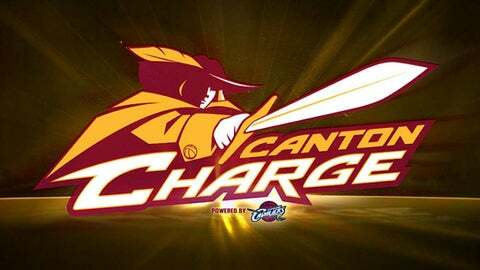 The Canton Charge fell to the Delaware 87ers, 109-99, at the Bob Carpenter Center on Friday night. The loss sets Canton at 15-9 on the season, while Delaware improved to 5-20 and 2-1 in the season series between the two teams. After Damian Saunders hit a three-pointer for the Sevens to take a 5-2 lead 10:28 into the first quarter, Delaware led the entire rest of the game and by as many as 16. The Charge are now 4-5 on the road in East Division play this season and 6-6 overall away from the Civic Center. Canton was led by Arinze Onuaku’s 15 points on 7-of-11 shooting with 12 rebounds and three blocks for his fifth double-double of the season. Cavaliers assignment Carrick Felix netted 14 points on 5-of-9 shooting with five rebounds and two steals in 29 minutes. Fellow Cavs rookie Sergey Karasev posted 12 points on 5-of-7 shooting with six rebounds, a steal and a block in 23 minutes on assignment. Kevin Jones scored 10 points with seven rebounds and a steal in 28 minutes. The Charge as a team blocked a season-high eight shots. Delaware was paced by Rodney Williams’ 22 points on 7-of-9 shooting with 8-of-9 from the free throw line in 40 minutes. Ben Strong posted a double-double of 16 points and 10 rebounds in 29 minutes. Saunders finished with 18 points, nine rebounds and two blocks in 40 minutes. Matt Bouldin scored 18 points with six rebounds, nine assists and two steals in 40 minutes. The two teams will wrap up the weekend set tomorrow, January 25 at 7:00 p.m. in the Bob Carpenter Center. Fans can follow all of the action with live stats and a live YouTube stream of the game on CantonCharge.com.